The devolution of welfare benefits to Scotland, especially those relating to disabled people and carers, provides an opportunity to transform the way Scotland approaches welfare and care policy says Kirstein Rummery. Breastfeeding is widely accepted as having health and wellbeing benefits for mothers and babies. Consequently national policies have been developed and significant investment made, to encourage more women to breastfeed. Despite this, breastfeeding rates in Scotland have increased very little in the last ten years. My curiosity about why this might be led me to undertake my PhD with the University of Stirling. While there are many factors which affect breastfeeding decision making, having a family history of breastfeeding appears to be one of the most important. Women who were not breastfed themselves are nearly 30% less likely to start breastfeeding than those who were breastfeeding themselves as babies. There are, however, few studies which have investigated this area. My study begins to fill this gap by investigating the experience of being the first to breastfeed in a family and making a different feeding choice from that of one’s own mother and sisters. This was though the analysis of conversations with fourteen mothers who had breastfed, using semi structured interviews and a new research tool which I developed, the Infant Feeding Genogram, which shares similarities with ‘family tree’ diagrams. Participants were selected through local toddler groups and via social media and a qualitative method, Interpretative Phenomenological Analysis, was used to analyse the data. A sacrifice but worth it. These themes were integrated and demonstrated that breastfeeding was not the straightforward process women were expecting from antenatal classes, rather it could be isolating, painful, distressing and conflictual. Women found that formula feeding was the default position and that their immediate community and family culture was unsupportive of breastfeeding, involving both overt criticism and more subtle undermining. To avoid this and to maintain relationships, many women adapted their behaviour, for example not breastfeeding in public or in front of family members or avoiding asking for parenting help. There were also, however, powerful moments of joy and connection from the exclusive relationship they formed with their baby. This raised their self-esteem and helped them feel like ‘complete mothers’. This fitted with their understanding of some of society’s positive representation of breastfeeding as being the ‘best and most natural’ way to feed a baby. Undertaking this research has led me to make some recommendations about how to improve women’s breastfeeding experience. Firstly, breastfeeding needs to be represented in a more realistic way in antenatal classes which acknowledges the physical and emotional difficulties that women often experience. Added to this, policy-makers need to consider the implications of the ‘Breast is Best’ and breastfeeding as ‘natural’ messages that are often used in public health messages, as although they appear to influence some women’s decision making and raise their self esteem, they have implications for women who make formula feed their babies, who were judged by breastfeeding mothers for making a less acceptable decision. Finally, the health service needs to take a mother and family focussed approach to breastfeeding, recognising the importance of infant feeding history and family members’ limited ability to provide support to their daughters when they breastfeed. This means health professionals need the skills to actively involve women and their families in looking at their family stories which support or undermine women’s breastfeeding and the Infant Feeding Genogram appears to be a useful tool to assist with this. Having satisfied some of my own curiosity, my next steps involve sharing my ideas and testing them with practitioners and policy makers to see if they also find them interesting and useful. This feedback will shape the next stages, which I hope will involve developing and testing this new focus with women and their families. Please don’t hesitate to get in touch, if you would like to be involved in this process. Great to see our undergraduate quality improvement work featured in the IHI Open School’s blog post! 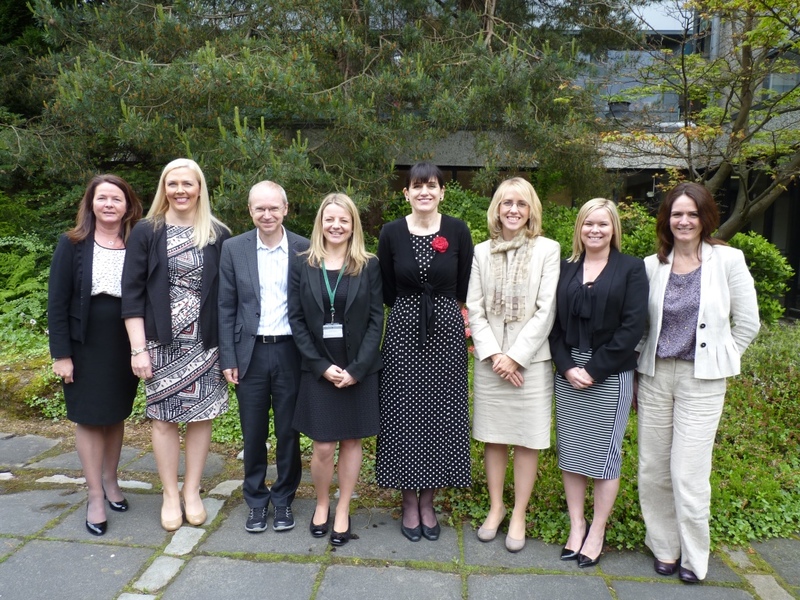 Helen Bevan (centre right) pictured visiting the University of Stirling in 2014. 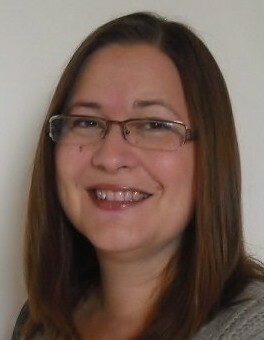 To mark ‪Meningitis‬ Day on 24 April 2015 our Research Office colleague Rachel Beaton wrote this personal piece for the @longitude_prize blog. The Longitude Prize is for work looking to overcome the global issue of antibiotic resistance.